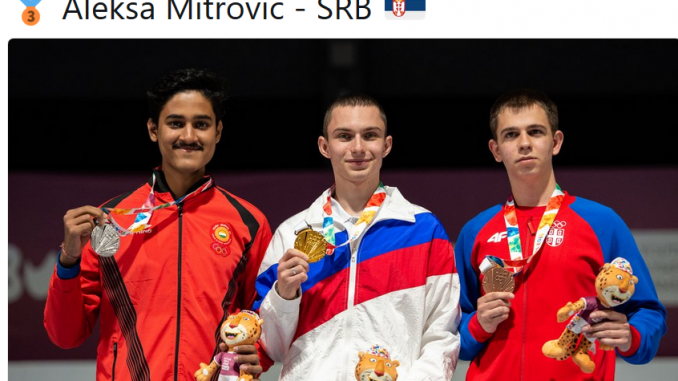 Indian junior athletes grabbed two silver medals, one each in Shooting and Judo, on Day 1 of Youth Olympic Games 2018 at Brazil. In Badminton, Table Tennis and Hockey events Indians won their group matches while Srihari Natarajan qualified for 100m Backstroke semifinals in Swimming. Group Winner enters Quarterfinals to be played on Oct 10. Boy’s 5s: Top 4 to qualify for Quarterfinals. Girl’s 5s: Top 4 to qualify for Quarterfinals.